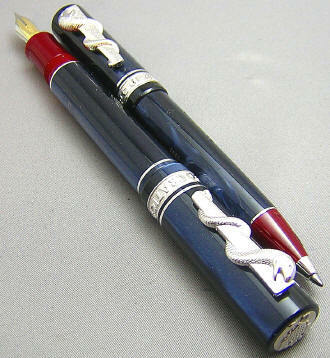 In 1982 a new innovative Italian writing instruments factory was established through the partnership of Nino Marino, Ciro Matrone and Mario Muscente, named Delta Srl. From the beginning Delta has chosen only the highest product standards to enter into the very demanding and competitive international consumer market. Delta has chosen to control every aspect of the pen manufacturing process in its southern Italian facility under the watchful eyes of its skilled artisans. Over the last 23 years, Delta has finely tuned its processes raising the quality of the final product to near perfection. This level of attention to detail establishes Delta in a category of its own. 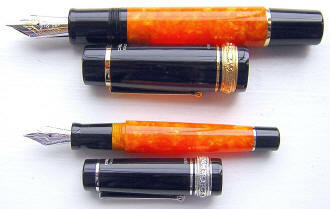 I don't regularly stock the large line of Delta pens, and consequently can offer a special pre-order sale price of 20%-off of the suggested retail price for the entire Delta collection. 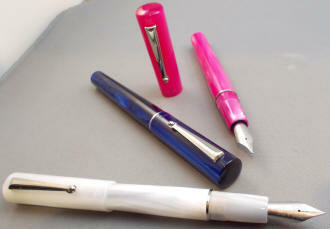 I order approximately once per week (please specify nib size preferred, if ordering fountain pens), at: orders@hisnibs.com. For all of Delta's offerings, please take a look at YAFA's website (they are the importer of Delta pens for the United States) here, and just let me know what you'd like (including Delta's outstanding limited edition pens! ).